No one enjoys getting the electric bill in the mail. With all the other expenses involved in everyday life, an expensive electric bill sometimes breaks the bank. 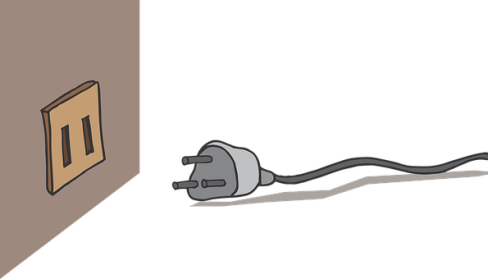 Everyone tries to be frugal with electrical consumption, but it’s impossible not use a certain amount, and sometimes it seems like even moderate electrical utilization results in a giant bill. Months, where the weather is either hot or cold, are particularly costly for people that have electric heat or central air conditioning. The key to a lower electric bill is optimizing the efficiency of the home. There are many different things that homeowners can do to reduce the amount of the electricity that they use, and most of them are simple. Below are seven small adjustments that can create a big difference in your electric bill. Implement a Zoning System for Central Air and Heat. Zoning is imperative for a cost-effective heating and cooling system. If you do not already have zones set up, an electrician can create them for a reasonable fee. The money that you save from the zoning will more than compensate for the cost of having the system installed. A zoning system works by dividing up your house into different quadrants that have separate thermostat controls. This division allows you to direct hot or cold air only where necessary, saving money by not heating or cooling rooms that are not in use. Raising or lowering the temperature on a thermostat either costs money or saves it, depending on the outside temperature. While this fact is not surprising, the amount of money that is either saved or spent by even a single degree makes a big difference over time. It’s important to look at your thermostat the same way that you look at a credit card or bank account. Just as you would not spend a dollar unnecessarily, don’t crank up the heat or AC because you feel slightly uncomfortable. If you are cold, put on a sweater, and if warm try to use a fan instead of air conditioning. Purchase Appliances that are Energy Efficient. Appliances have come a long way in recent years regarding energy efficiency. Older machines usually consume a lot more electricity than newer ones that utilize the latest technologies to save you money and create a smaller carbon footprint. Your refrigerator, oven, stove top, washer and dryer are responsible for a portion of your electric bill, and you want that portion to be as small as possible. You do not have to replace the appliances all at once; start with the oldest one and go from there. The electrical savings will offset the cost of the device over time. Replace your existing light switches with dimmers. Dimmers are the devices that allow you to raise or lower the level of light in a room incrementally. In addition to saving money on lighting, dimmers give you the ability to precisely allocate the amount of light that you desire in a place, and that is aesthetically pleasing. You should not attempt to install dimmers yourself unless you are confident in your abilities. Instead, hire a local electrician to ensure safety protocols and compliance with building codes. Turn Down Your Water Heater Temperature. You might not be aware that the temperature of your water heater is adjustable. A water heater temperature of 120 degrees is more than adequate for comfortably heated water. Your water heater is responsible for a sizeable percentage of your electric bill. Most electric water heaters account for about 10% of the monthly electric bill, and if you look at this annually, that is a lot of money. Along with adjusting the heater, try and take shorter showers, and not let the hot water run unnecessarily under any circumstances, such as doing the dishes or washing your hands. Also, insulating the water heater and the surrounding pipes will create additional savings. Cleaner appliances run more efficiently, and this saves money. Air conditioning units have filters that need cleaning on a regular basis. The dryer outtake also has a filter to clean and not just for cost-effectiveness; a clogged dryer filter is a dangerous fire hazard. Dishwashers also have screens that need regular cleaning. When any filter clogs, the mechanism that the filter is a part of will need more power to do the job. Refrigeration coils also require regular cleaning for optimal performance, and a vacuum cleaner is an excellent tool for the job. Dry Your Clothes Outside on a Line. Not too long ago, the only way to dry clothing was to hang it outside on a line. Clothes dryers eat up a lot of electricity, so this is an easy way to save. Dryers also create a lot of wear and tear on clothes, and by drying them outside, they will last longer. Furthermore, clothes that dry outside have a fresh, pleasant scent that a clothes dryer cannot duplicate. You don’t have to dry your clothes on a line all the time to save money, whenever is convenient will add up. Most electric companies will come out to your home and perform an energy audit to assess the efficiency and make recommendations for improvements. Trained professionals that use specialized equipment perform energy audits to measure different factors, such as resistance to heat flow or leakage rate. The goal of the examination is to find ways to decrease energy input without compromising energy output. In other words, the idea is to find ways to use less electricity without compromising your standard of living. Now, these are just a few simple ways for you to save money on your electric bill, and this is by no means a comprehensive list. Also, there are larger projects to save additional money, such as solar panels or new windows. If you are interested in learning more, a great place to start is to get a licensed electrician out to your home for a conversation. When people in South East Queensland look for an electrician CLF Services Brisbane is the company they trust for all electrical services. These professional electricians offer a 12-month workmanship guarantee on all jobs, and they are available 24/7 for emergency electrical work. CLF is fully insured and provides 100% transparent quoting.